Question: Do You Use Digital Wellbeing? 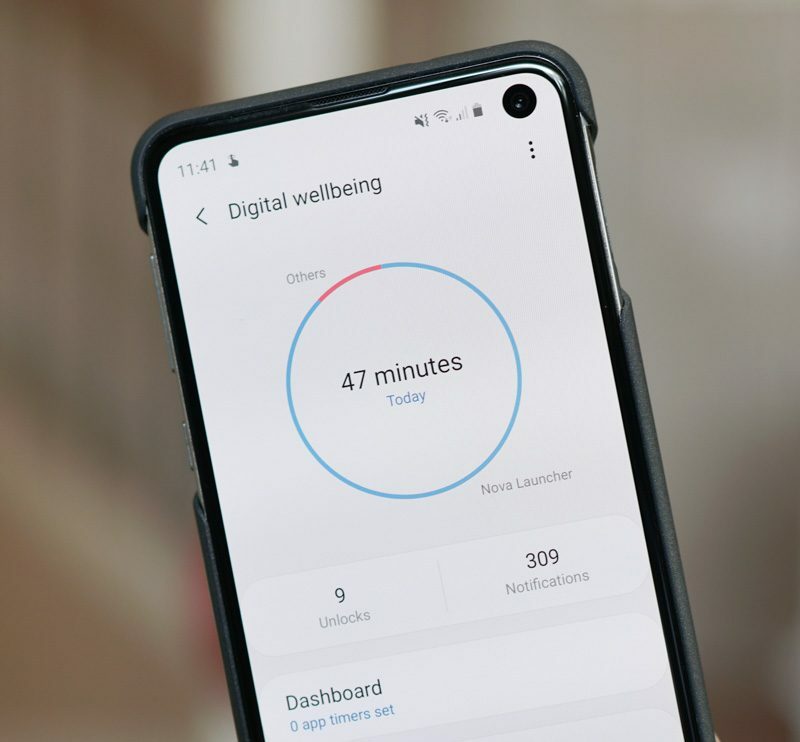 Google introduced its Digital Wellbeing software in August of last year as a way to help us monitor phone and app usage, try and give us reason to disconnect more, put our phones down earlier in the evening, and limit technological obsessions. Since then, I can tell you that I’ve looked at Digital Wellbeing in the rarest of occasions, often only when something new has been added to its suite of features that we can share with you. It’s not that I don’t appreciate what Digital Wellbeing is trying to do. I like the fact that I can set a limit on Instagram or Twitter. I like that my phone can turn to greyscale as a reminder that it’s late and I should go to bed or at least take a break. I like looking at stats to see how terrible I am at actually putting my phone down. But even as Digital Wellbeing has moved onto additional non-Pixel phones, including the Galaxy S10e I have sitting here, I’m finding that I’m forgetting it exists. Is that because I can’t admit that I have a problem and probably need to disconnect more? Or maybe I don’t have a problem? I don’t know! I do not know. Part of my early problem was that some features like Wind down just annoyed me and I’d turn it off after it activated each time rather than listen to its suggestion to call it a night. I haven’t set any app timers because I like using the apps that I use the most – that’s why they are the apps at the top of the list each day. So maybe I’m looking for help. I can’t tell if I’m missing out on Digital Wellbeing as a game-changing Android feature or not. I’m curious if you are using it, finding it useful, or have tips to get me taking more breaks. Are you using Digital Wellbeing? Which Galaxy S10 Should You Buy?